Leafy greens are a critical part of a healthy diet and they delight the eyes with their vibrant colors and textures. As we write in the antioxidant section of our website, greens can be a powerful antioxidant food. We see it as our job to eat mountains of them and I share with you here some resources to help you eat more, as well as a story or two. 1. 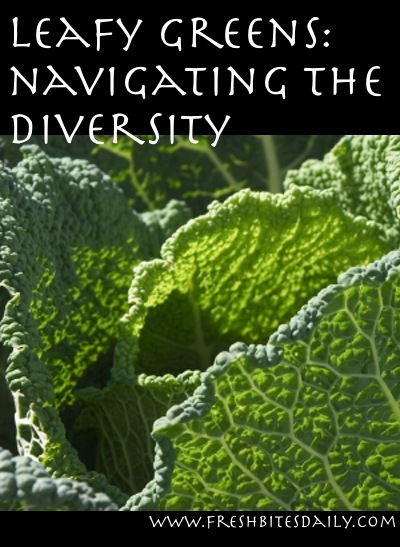 Lack of Information About Greens – Greens are now available in a myriad of shapes and colors. What happened to the canned spinach? What are those huge ruffly green leaves (kale) standing above the rest of the display? 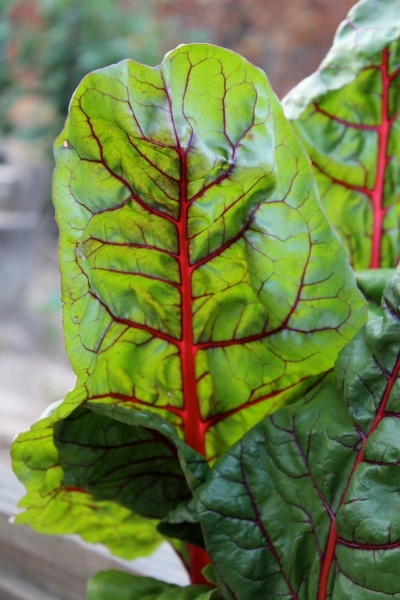 That chard is red. Is it safe? The beet greens are almost black. Is that normal? What in the world is that curly stuff (misuna)? What does it taste like? Walk through the greens area with all these unanswered questions going through your head and you will walk out without buying. If you haven’t a clue what you are looking at or what it might taste like, you spend your food money on the familiar and go home with carrots and broccoli. These are great vegetables too, but they cannot compete with the nutrient density of leafy greens. 2. Lack of Tasty Serving Suggestions – Unless your grandpa had a big garden and your grandma was a great cook, your greens consumption in growing up was limited to frozen chopped spinach. Even then, it was just an additive to a dip or an excuse to top some fish with Florentine sauce. Grandma Emory’s handling of greens was representative of the cooking of the South and Midwest. Today there are cook-health fanatics all over the country experimenting with greens to develop tasty and nutritious ways of preparing these garden treasures. Almost daily we try some new twist with greens. It’s an adventure, one that builds health in all of us. You cannot beat that when it comes to fun. Searching for ideas online is like the treasure hunts we enjoyed so much as kids. This was a spring event at Allensworth State Park and I was sitting down with a plate of fried catfish and a double serving of poke greens. (Allensworth is an historical park in our area commemorating an early settlement of Buffalo Soldiers, one of the only black settlements in central California.) The food was great but I could tell that no one besides me had asked for two servings of greens, passing up the potato salad. Many white folks were asking for just the opposite — double servings of potato salad. I sat down, took a good whiff of the poke greens, and shoved a forkful into my mouth. As I came up for air, I looked directly into the amused face of the black woman seated directly opposite. “I can see those greens are bringing back some memories,” she said with a twinkle. Memories indeed! I was replaying a video in my head of the first time I had tasted poke greens. They were strong flavored, almost bitter, with much more character than the spinach with which I was familiar. “What is this? Where do you get it?” I knew I had never seen such a green in the grocery store. We walked to the large garden behind the house. “Oh, you grow it!” No, the poke greens were standing tall on the far side of the garden fence. Poke greens grew wild. No one would consider using precious garden space on a weed like this. I was twenty-three and this was my introduction to foraging. In the four decades since, I have realized that to succeed with introducing much more green into your diet you need a sense of the spectrum of flavors in the greens world. Poke greens are sharp and bitter, not a good green for most folks to start with. Poke sits at the far end of the spectrum along with mustard greens. I have seen the uninitiated take a bite of cooked mustard greens and then push their plates away from them. If you didn’t grow up with poke or mustard, start your greens experience with the tender, more delicately flavored ones. This would include spinach and the wild miners’ lettuce and chickweed. The flavors are delicate and sweet, rather like the flavor of a leaf lettuce. Whether you cook these greens or serve them fresh in a salad, the predominate flavors will come from the seasonings or salad dressings. The lightly flavored greens nicely balance off a strongly flavored entree. An example is a serving of salmon (strong flavored) with a salad of tender greens dressed with a light vinaigrette. 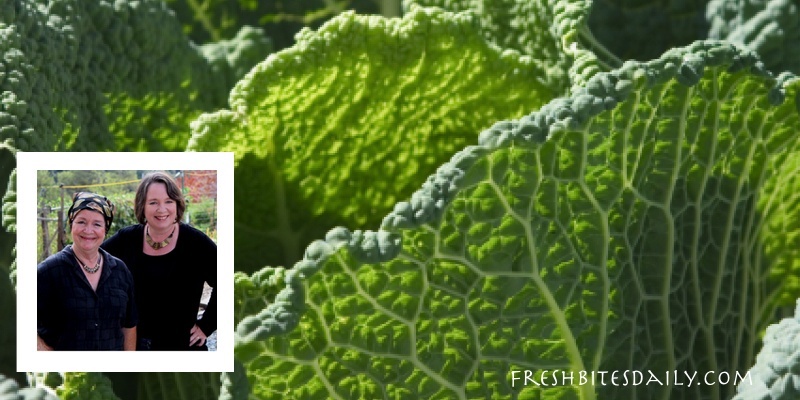 The very popular kale family falls into this category as do the cabbages, bok choy, purslane, and chard. Young spring dandelion leaves fit here. Cooked arugula (not fresh) also hits this mid-range. Each of these vegetables have their own subtle, but distinct flavors. What they have in common is that they are not bitter or hot. While these vegetables are usually served in a cooked fashion, the tender leaves of each of them are stunning in a salad. This is one of the great advantages to having your own garden. You can glean a tender leaf here and there without harvesting the whole plant. Enjoy the salads in the early part of the season, the mature vegetables later in the season. Poke greens and mustard greens hold down this post. Fresh arugula slides right in with them. All three have a sharp, peppery flavor much like you experience with the mustard on your sandwich. Cooking tames the pepper in both poke and mustard greens. Cooking arugula tames it to the point that it is similar in taste to spinach. This is a super way to recoup arugula leaves that have matured beyond the point of usable in salad. With all three of these greens, the younger they are the more delicate the flavor is. You can pinch off small developing leaves from a new planting of mustard greens and add your prunings to other greens for a bright salad. Try the same thing a few weeks into the growing season and no one will want to eat your salad. The mustard is too hot and bitter to enjoy it fresh. If you have read this far, you fall into the category of slightly fanatic: fanatic about eating well and staying healthy. Welcome! You are among friends. 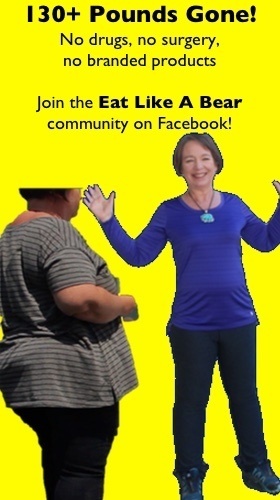 As one friend to another, allow me to encourage you to explore new flavor combinations and methods of preparing greens. I am convinced that people do not eat more greens because they get bored to death of the one way they prepare them. Spinach sauteed with garlic in olive oil is delectable, but not every day. What if you ended with a squirt of fresh lemon juice or a sprinkle of toasted sesame seeds? What if you used sesame oil instead of olive oil? Even these slight changes make a difference in the flavor of the end product. Get adventuresome! For such an adventure, I recommend Greens Glorious Greens! by Johnna Albi and Catherine Walthers (read my review). This is a guide book, owner’s manual, and cookbook for lovers of greens. Just about every cultivated green is covered along with a number you can forage– even dock. Dock grows in damp areas in our neighborhood. I never knew it was edible. 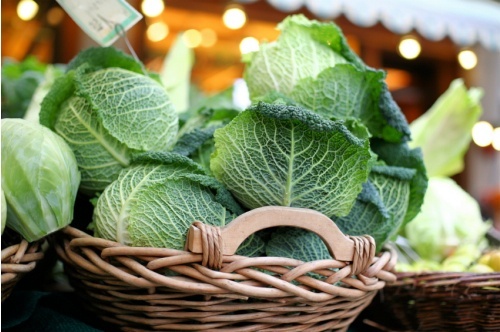 Learn how to select greens at the market and how to best prepare for different purposes. Study the recipes and you will discover how the strongly flavored greens support strong seasonings and how the delicate greens sing more harmoniously with delicate seasonings. I cannot recommend this book highly enough. Understand the nuances of leafy greens and you will begin using them like an artist. Greens can be whipped up into a stand-alone side dish like kale chips or bok choy stir fried with sesame oil and sesame seeds. Greens are so low calorie you can afford to have a large mound of them on your plate. If you love the flavor, you will want a mound. If you or your family members are not yet ready for mountains of greens, then plan on sneaking greens in wherever you can. My grandson Frederick ate homemade miner’s lettuce pasta and never questioned the fact that it was green because it was delicious. Miner’s lettuce is delicately flavored and light green, makes a good start on getting green into a resistant little boy. He was drawn in again with a bowl of miner’s lettuce cream of chicken soup. The greens were pureed so they didn’t look like a vegetable. Of course, a delicate green combines beautifully with cream. A heartier tasting green can be incorporated into a dish with strong flavors. The balance is good and very few picky eaters would complain about the results. What about a salmon frittata with chard or arugula? The flavors are balanced and the colors are stunning. Try the spiraled meatloaf taken from the Glorious Greens book. We have used a good pound of arugula leaves in this dish. The arugula is cooked, therefore mild like spinach. It blends well with the ground beef and seasonings. This dish serves up like a magazine picture. It even makes you forget how healthy it is. Got your own greens growing in the garden? Snip tender new leaves to add to salads. In the beginning, use only a few of your snippets until you (and everyone else) gets used to the flavors of raw greens. Then you can begin adding more greens to the lettuce each time.